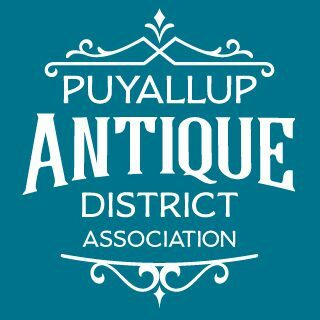 We’re glad you’ve discovered the Puyallup Antique District Association! Puyallup, Washington is a suburb between Seattle and Mt. Rainier, and home to the Washington State Fair. Take a stroll through our site and discover why a visit to downtown Puyallup is a must. Our antique stores are located throughout the Puyallup Valley just north of the Washington State Fair & Events Center off Meridian Avenue in Puyallup. Click here for a map. For decades, people who love to shop for antiques and collectibles have come to the Puyallup Antique District. Visitors from all over the world have included the Puyallup Antique District as part of their travel plans in visiting Seattle, Tacoma, Portland, San Francisco and other West Coast antique destinations. Our stores carry thousands of unique antique pieces ranging from vintage to shabby chic, retro to restored and so much more. You will discover treasures to bring into your home or add to your collection that you won’t find anywhere else. We’ve got it all from Native American to Northern European, Victorian-era to the groovy 60s, artifacts to wall art, dishes to dresses, lamps to musical instruments, antique signs to home décor, tables to tapestries, repurposed salvage to old books, and estate jewelry to sports memorabilia. The Puyallup Antique District includes several shops and stores, all locally-owned. From upscale furniture to flea market finds, visit any store to start your treasure-hunting adventure!